The kitchen is not only my favorite room in the house as I love to cook, bake and entertain, but it is rated the number one room to drive value in a home. That being said, if you’re looking to remodel or purchase a home with a new kitchen, see below the biggest trends for kitchens to hit in 2019. Just as fashion trends from the 90’s have gone and then returned (aka, crop tops and off the shoulder shirts), so do home decor trends. After years of white on white, black is now back in the kitchen bringing with it sophistication and masculinity. Including black cabinetry with a matte finishes, black appliances, black exterior light fixtures and black kitchen hardware, it will be the primary color of 2019. A big area of focus this year will be the kitchen sink. From black, copper, concrete and even marble or stone (not sure how the heck this works, since marble is supposed to avoid water … but anyway), the kitchen sink will be chic, and perhaps less functional than ever before. Trade in your chanel bag for the latest in ultra luxury appliances. 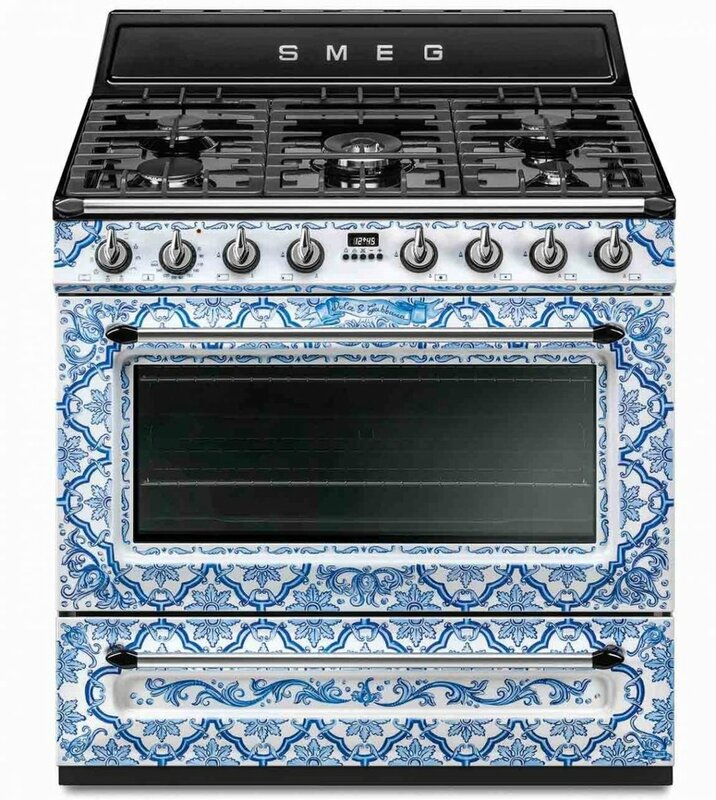 This trend is taking new heights with collaborations between Dolce & Gabanna and Smeg that began in 2018, with a limited release of hand painted refrigerators, stoves, and small appliances. Interjecting your personality through your appliances seems to be the latest, and likely the most expensive trend out there. 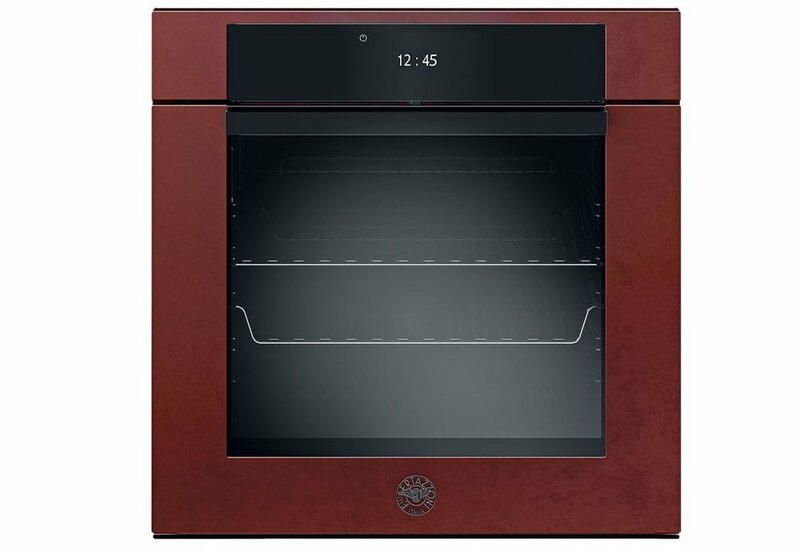 Move over WOLF and Viking, French brands like LA CORNUE allow you to create custom ranges that showcase your taste, while frying your bacon. What more could you ask for? With high gloss gold and rose gold making an appearance in the kitchen years ago, they are somewhat on the way out in the latest kitchen trends. Replacing them? Brushed finished copper and gold. 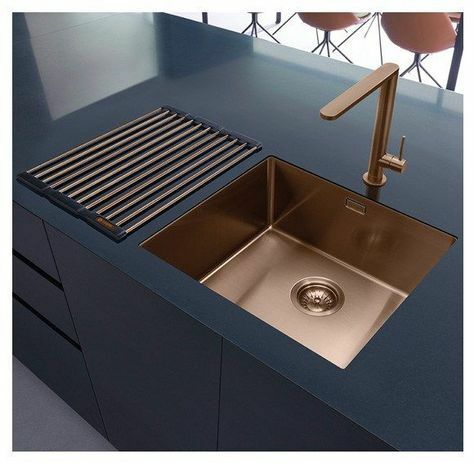 From back-splashes, sinks, hardware, appliances big and small, brushed gold and copper give showcase an elegant display of how to bring luxury into the kitchen. Now, does this mean its time to overhaul your kitchen if you have white cabinets with stainless steel appliances? Absolutely not. Just like fashion trends, these will also not with-still the test of time. These are things to consider, and also to know that if you’re looking to renovate, perhaps stray away from these trends as a way to remain timeless throughout the years.